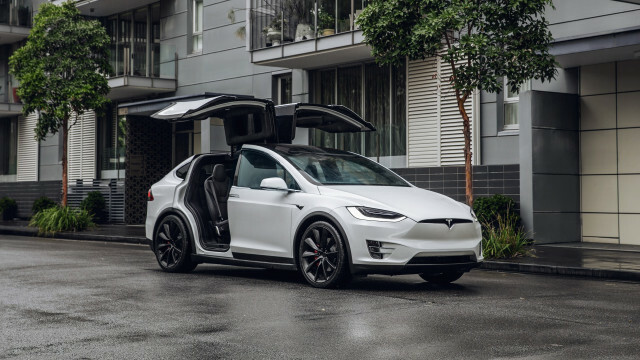 The Tesla Model X is a fully electric vehicle that's more of a crossover than a true SUV and based on the Tesla Model S sedan. 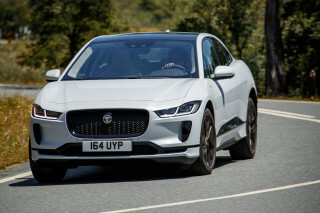 Until the arrival of the Audi E-tron in 2019, and the Jaguar I-Pace in 2018, there was no other long-range, all-electric rival to the Model X. Even now, with a number of other all-electric luxury alternatives from Mercedes-Benz, Volvo, Lincoln, and many others in the works, the Model X hasn't entirely lost its star power. Its somewhat fussy top-hinged rear doors still—several years after its introduction—create a spectacle wherever owners go. The 2019 Tesla Model X has lineup has been culled to just two models, the Model X Long Range and the Model X Performance, both of which have the 100-kwh battery pack, and rated ranges of 295 and 289 miles, respectively. The base price is now well over $90,000, while fully loaded Performance models with the Ludicrous Mode option—the key to sub-3-second acceleration to 60 mph—can run as high as about $145,000. The all-electric utility vehicle hasn't changed much, and it doesn’t stand out in profile quite the way it did when the form was essentially locked in, back in 2012. Its front-end design uses a flat panel rather than a simulated grille, and its tall proportions don’t have the inherent voluptuousness of the Model S. But watch from the front or rear as the owner opens the rear passenger doors, and you’ll see why the Model X is guaranteed to turn heads in the parking lot: its gullwing-style "falcon" doors arch outward and upward, to allow a surprisingly open area through which to access the back seats. Tesla insists that the doors are actually practical. A double-jointed mechanism requires only about a foot on either side of the vehicle to open the doors, and they’re actually easier in tight parking spots than sliding minivan doors. More to the point, sensors prevent the doors from hitting low garage ceilings and recalculate their opening arc depending on constraints. They prevent roof racks and any kind of cargo mounted above the roof, but Tesla offers a special bike and gear rack that attaches to the trailer hitch. 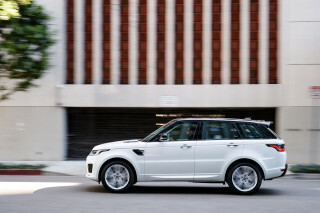 Towing capacity is rated at 5,000 pounds, though both towing and running at high speeds will eat quickly into range. From inside, the Model X feels and drives like a Model S with a higher seating position. 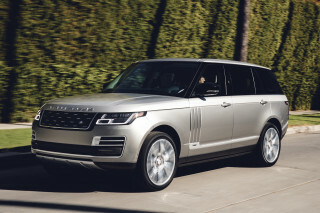 It's more open and airy, due to a steeply sloped panoramic windshield that's one of the largest in any production vehicle, extending up over the front-seat area. While the third-row seats fold flat when not in use, the second row only slides forward to rest against the backs of the front seats. They do give better adult-size contouring than most utility-vehicle seats. 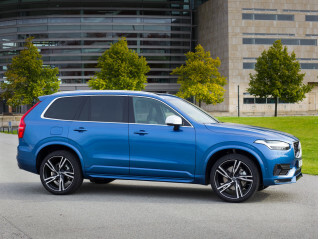 Six- and seven-passenger layouts are available, with the former eliminating the middle second-row seat, giving more pass-through space and better rearward vision. From either a practical or performance angle, the Model X is impressive. All-wheel drive is standard, and it can reach 60 mph in as little as 2.9 seconds, when the high-performance P100D model is optioned with the appropriately named Ludicrous Mode. Three battery capacities have been offered, 75, 90 and 100 kilowatt-hours, with the 90-kwh option withdrawn during 2017. The performance option is offered only with the largest battery. Supercharger fast-charging capability provides up to 80 percent of total charge in 30 to 40 minutes. All models have separate electric motors for the front and rear wheels. As in the Model S sedan, the Model X has its battery mounted low and flush with the floor, keeping its center of mass extremely low. 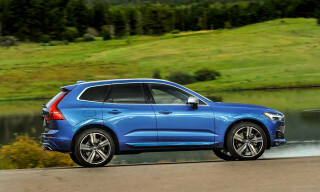 That give its stability and general handling prowess that’s superior to just about any other SUV. There’s a multi-mode air suspension, and ground clearance is higher for the Model X, which should make it a better pick for those in climates with occasionally deep snowfall. While the IIHS has not issued safety ratings for the Model X, the NHTSA gives it uniform five-star ratings both overall and for every individual test. An optional HEPA filter includes activated carbon filtration, removing pollen, bacteria, viruses, and pollution in general from the air. Collision avoidance systems in the Model X use a multitude of sensors, with camera, radar, and sonar hardware all providing input to automatic crash braking, blind-spot alert, and lane-departure warning systems. As in the Model S, the Model X has a 17-inch vertically oriented touchscreen setup at the center of the dash. It’s one of the best such systems in the business—relatively lag-free and updated with over-the-air updates. Key vehicle features can also be updated over the air, without a trip to a service bay, and new features can actually be introduced this way. The Tesla Model X went on sale in late September 2015, though some owners of early production models noted quality issues over misaligned and balky doors. Production increased during the first part of 2016. In late 2016 it was offered with 75-, 90-, and 100-kwh hour battery packs that increased its range up to 289 miles. For 2018, it was simplified to three models: 75D, 100D, and the hot-rod, high-performance P100D, all of them fitted with all-wheel drive as standard, with EPA-rated ranges from 238 to 295 miles. From my first experience driving a Tesla at the Fremont Tesla factory & track, I was totally sold and knew I wanted to buy a Tesla. I spent a great deal of time driving both models (Tesla Model S & Tesla Model... From my first experience driving a Tesla at the Fremont Tesla factory & track, I was totally sold and knew I wanted to buy a Tesla. I spent a great deal of time driving both models (Tesla Model S & Tesla Model X), reading reviews and ultimately trying to decide which one would be the best for me. I was quite worried about the initial reviews of the Model X (not good!) and the Model S of course is one of the most loved cars of all-time. It’s the big and the small details that really put Tesla in a league of it’s own. The responsiveness of the accelerator (no lag time) makes driving safer. The regenerative braking combined with standard anti-lock brakes allows the vehicle to stop more quickly than any other car. Overall the safety ratings for both Model S & Model X are as close to perfect as one could ask for. I’m driving my wife and baby around and safety and comfort is paramount. I love the sleek James Bond look of the Model S and also appreciate how insanely quiet the car is when driving. If you’re reading reviews you’re already aware of how fast these cars are and how amazing it is that Tesla can “push” updates to the car, something that none of my other cars have ever been able to do. Even little things like the “frunk” (front trunk) on both cars is something that sets Tesla apart (I am often in San Francisco and having a very secure space to leave a laptop bag is very much appreciated). Other “nice to have” things like the door that opens as you walk up to your car, the music that starts playing where you left off as soon as you start to sit down, the automatic “hands-free" parallel parking feature, the hands-free voice controls that allow you to enter navigation items as specific as “the Safeway in the Marina District” without knowing the street name or address…I could go on and on and on.